Sharon Osbourne knew her split from husband Ozzy last year wouldn't be permanent but she didn't want to seem "weak" by taking him back right away. 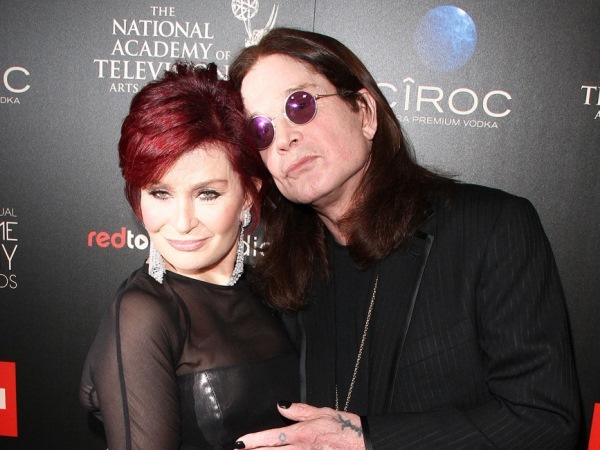 Sharon Osbourne always knew she’d take Ozzy Osbourne back. The couple split briefly last April after the rocker began drinking and abusing prescription drugs again but the Talk host insisted she only walked out on their marriage so she didn’t seem "weak" and to teach her spouse a lesson. She said: "You put up this front because it’s what you should do. You feel, This is what I should do. I can’t be seen to be weak. I can’t let somebody disrespect me this much so I have to come out with this. "But in my gut, I knew I’m not going anywhere, you know, but I have to give him a hard time because if I don’t it’s going to happen in two weeks again." Sharon - who has children Aimee (30), Kelly (29), and Jack (28), with Ozzy - also admitted to throwing coffee over her husband during showdown talks after they split. In a joint interview on CNN’s Piers Morgan Live, she said, "Ozzy came around to have a talk at the hotel that I was staying at and I was like, This is divorce, this is it. This is what I want. I want this, this, this, and this. And then it’s over. And he goes, ‘You do calling at me’. "And I was drinking a cappuccino and I went, ‘Whoops on his head’." The Black Sabbath frontman has now been sober for over 10 months and he admits he finds each day "hard", and he avoids temptation by not socialising after gigs. He said: "It’s hard especially when you come off a stage, and you’re doing a great concert. And that’s where it all starts. "You want the party to continue but what I want to do is get off the stage in the car and go. I don’t socialise with people in the park and gigs, you know, I don’t go there."